Schön, genauso hab ich mir ihn vorgestellt!!! Which steps are you having trouble with? I didn't think any of the steps were too tricky, so I don't know what would help (apart from a video). Can you help explain step 6 transitioning into 7 and on? I cannot figure it out and would really appreciate tips/help? any help for how to progress onwards? 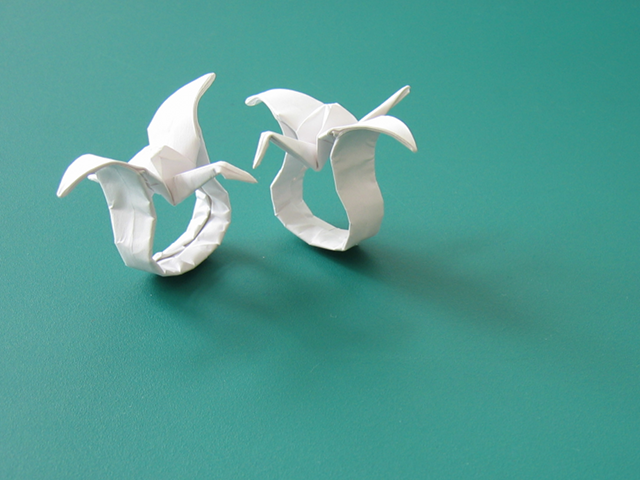 Just fold a bird base in the middle along the existing creases. Ignore the big flaps on the sides. If you could help me as to explaining the transitioning from steps 7 to 8 please.